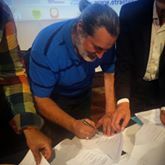 QKK merr pjese ne forumin ballkanik te organizuar ne Otranto nga Apulia Film Commission ku u nenshkrua marreveshja per aplikime te perbashketa ne projektet evropiane. 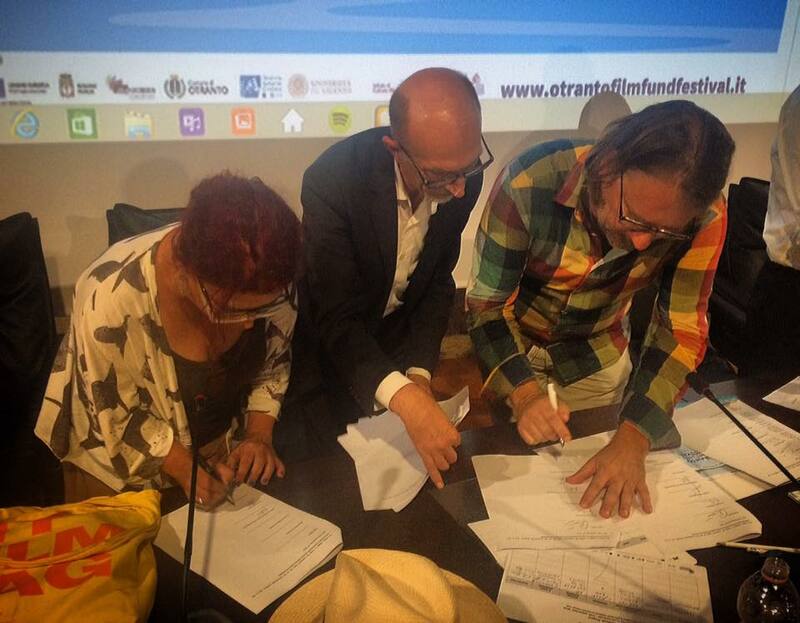 Creative Europe Media Desk Albania dhe Qendra Kombëtare e Kinematografisë prezantojnë projekt idetë e formuluara për propozimet IPA Adriatik – Jon, në kuadër të bashkëpunimit Shqipëri – Itali – Mal i Zi. Ide dhe projekte konkrete që synojnë bashkëpunimin e ngushtë kinematografik të tre vendeve në 3 vitet e ardhshme. Albania, Grecia, Croazia ed Italia. 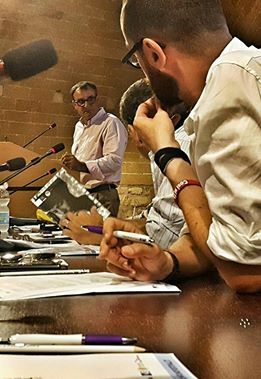 Nasce ad Otranto l’intesa per la promozione e la diffusione delle produzioni audiovisive nella regione adriatico/ionica. 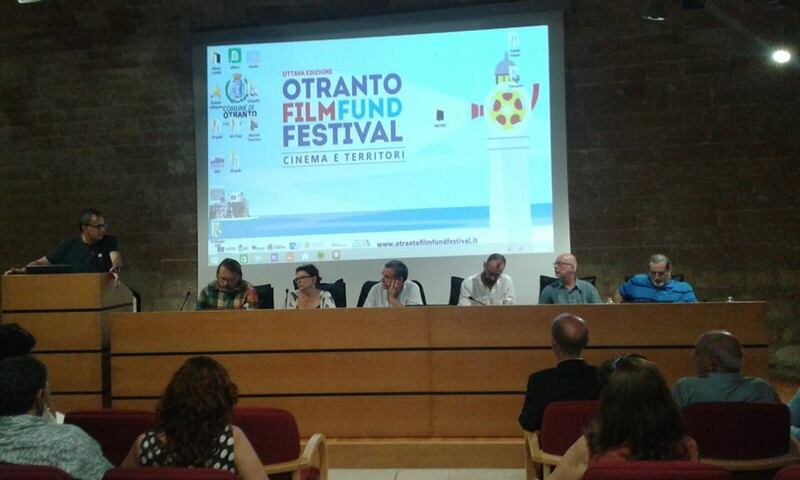 Nasce grazie ad Otranto Film Fund Festival 2016 che ha fatto incontrare i centri audiovisivi e cinematografici dei Paesi coinvolti con l’ Apulia Film Commission considerata un esempio da seguire, un faro che guiderà alla nuova strada comune. La firma del protocollo d’intesa è l’ultimo atto del progetto di cooperazione IPA AdriaWealth e porterà alla creazione di un Network dell’Audiovisivo dell’Adriatico. After a long working day meeting on Adriatic Ionian cinema cooperation, with Ilir Butka – Director of Albanian Film Center; Elektra Venaki – Director of Greek Film Center and Dimitris Yatzouzakis – Director of Mediterranean Film institute of Athens. 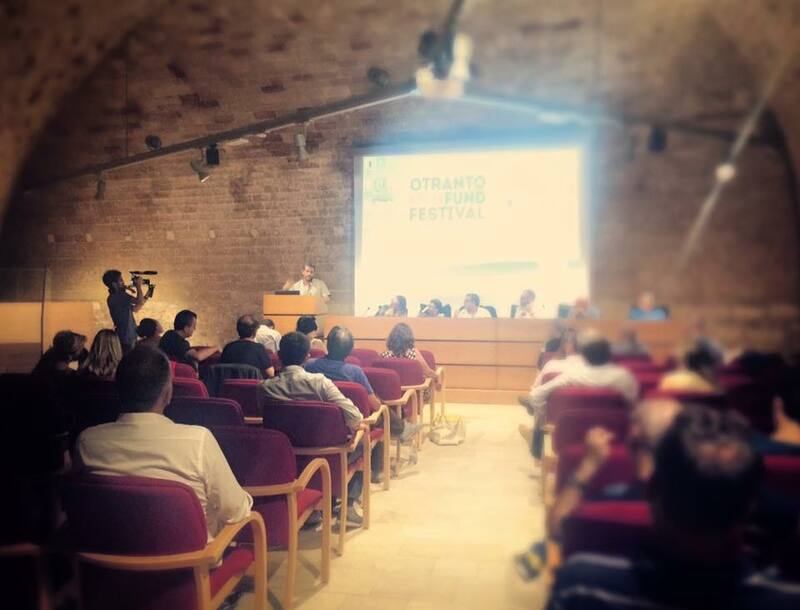 Today : Otranto Film Forum Festival. 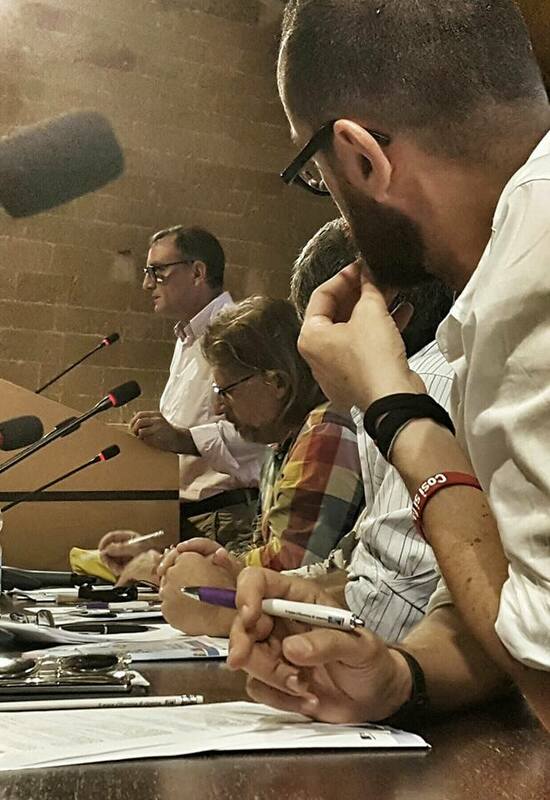 Parteciparono all’incontro, condotto e moderato da Luigi De Luca: Luciano Cariddi – Sindaco di Otranto; Luciano Schito – Direttore OFFF – Otranto Film Fund Festival; Ilir Butka – Albanian National Center of Cinematography; Arben Papadhopulli – Responsabile del desk Albania di Creative Europe; Elektra Venaki – Greek Film Centre; Dimitris Yatzouzakis – Mediterranean Film Institute – Atene; Hrvoje Hribar – Croatian Audiovisual Centre; Stefania Ippoliti – Presidente Italian Film Commissions; Maurizio Sciarra – Direttore/Presidente Apulia Film Commission; Paolo Vidali – Fondo Audiovisivo Friuli Venezia Giulia; Emma Barboni – Emilia Romagna Film Commission; Andrea Coluccia – Responsabile del Creative Europe Desk Media ufficio di Bari; Domenico Ioffredi – Consigliere regionale del Molise con delega alla Cultura e Molisani nel mondo; Alberto La Monica – Direttore del Forum di Cooproduzione Euro Mediterraneo – Michalis Panagopoulos – Assistant Professor Audiovisual Signal Processing Lab; Dept. of Audiovisual Arts – Faculty of Music and Audiovisual Arts Ionian University. 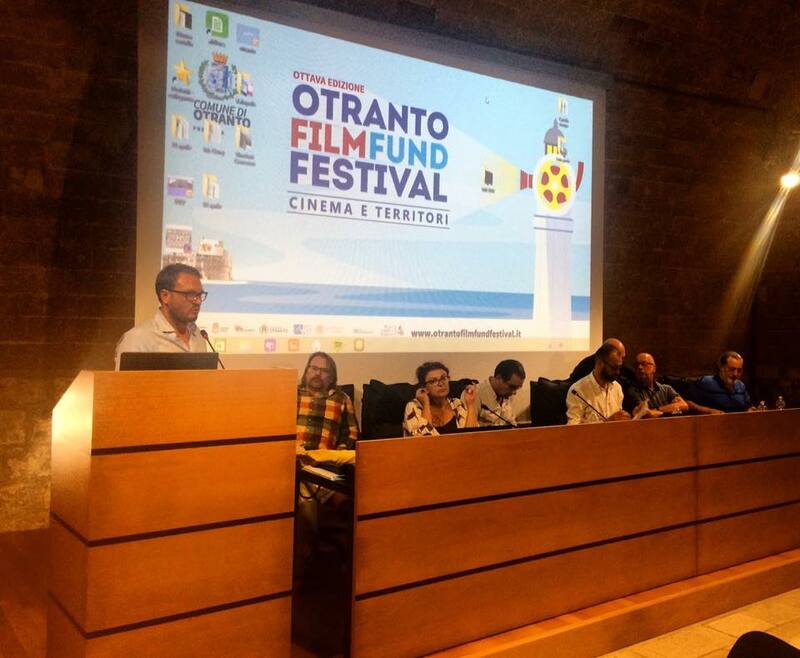 OFFF- Otranto Film Fund Festival, Comune of Otranto, Apulia Film Commission and Istituto di Culture Mediterranee (Insitute of Mediterranean Cultures), have created the section ADRIATIC IONIAN MOVIE for the 8th Edition of the Festival. All the films produced in 2015/2016 within the Countries of the Adriatic-Ionian Macro-Region and supported by the Film Fund, can participate in the competition. If you are interested, please send us a list of supported films and the contact details of their authors and producers no later than 6.00pm of Monday 1st August. We hereby invite you to read the attached abstract of this year’s Festival in order to decide whether to take part, as representatives of the Film Funds of your Countries, in the roundtables and plenary session called “THE CINEMA IN THE ADRIATIC-IONIAN REGION: THE LANDS, THE HIST0RIES, THE POLICIES”. Your confirmation of attendance with a travel plan, in order to arrange your stay in Otranto, must be send to the email address lucrezia.errico@libero.it no later than 3.00 pm of Friday 8th August. Director of OFFF- Otranto Film Fund Festival. 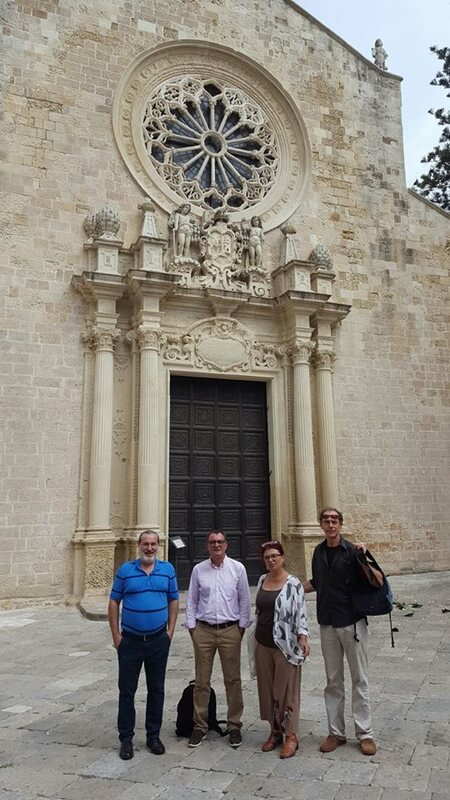 15th September, 10.00 am PANEL Apulia – Greece. Roundtable session reserved for the guests. 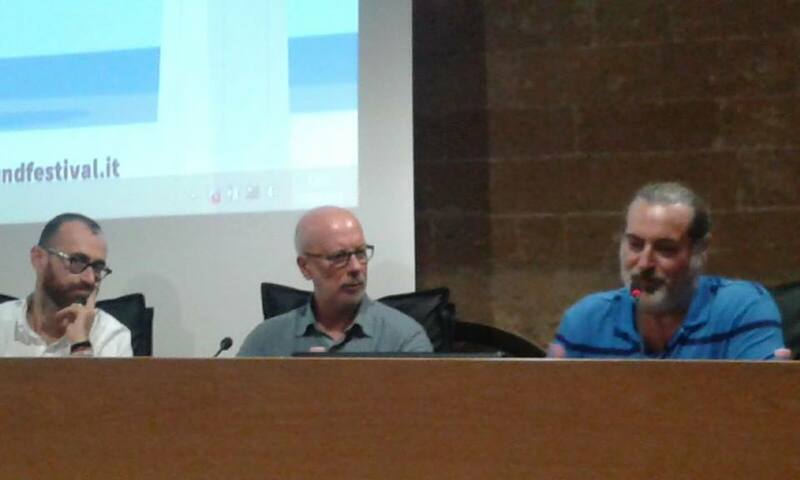 Coordinated by Giovanni Antelmi (Apulia Film Commission). Coordinated by Arben Papadhopulli (Creative Europe Media Desk). Coordinated by Cristina Piscitelli (Apulia Film Commission).